ETX is positioning itself as a leading operator in the Eastern Eagle Ford and Austin Chalk development activity in East Texas. After successfully completing the purchase of Marlin Energy’s assets in Brazos and Burleson Counties in 2018, combined with ETX’s legacy position, ETX is fully committed to developing and growing its Eastern Eagle Ford position. Surrounded by offsetting activity from Chesapeake Energy (following its 2018 $4 billon acquisition of Wildhorse Resource Development Corp.), Hawkwood Energy, EOG Resources, Apache Energy and others, ETX is well positioned to successfully capture significant value and growth in this historically prolific area. Drilling activity over the last several years has increased tenfold due to the region’s competitive benefits of being oil/liquids dominant (90%+), realizing premium pricing (WTI +), and a fully developed and competitive marketing and product transportation infrastructure. ETX benefits from a senior management team with a combined experience level of well over 200 years in both public and private exploration and production companies. And with the commencement of a multi-year development program starting in the spring of 2019 and possessing over 10 years of drilling inventory, ETX is uniquely positioned for growth and financial success. At ETX, we pride ourselves in establishing and maintaining excellent relationships with our landowners. We value the partnerships we form, and strive to ensure the most mutually-beneficial relationship possible. 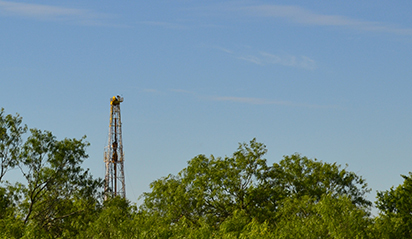 ETX Energy is focusing its East Texas drilling plan on the Eagle Ford Shale. 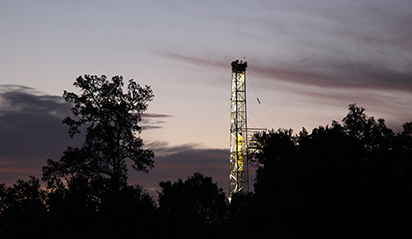 After restarting the horizontal Buda drilling program in 2017, ETX Energy closed an acquisition with Marlin Resources in June 2018 picking up additional acreage in Grimes, Brazos, and Burleson counties. Coupled with recent bolt-ons in Q1 2019, ETX is now primed for its Eagle Ford drilling program, which began in August 2018…. Headquartered in Tulsa, Oklahoma, ETX Energy has more than ten years in the energy and exploration field. Our employees are some of the most highly-qualified, knowledgeable and personable in the industry, and our Executive team leads with more than 200 combined years of experience. To find out more about investing in the future of ETX Energy or to access our Investor portal, click here.